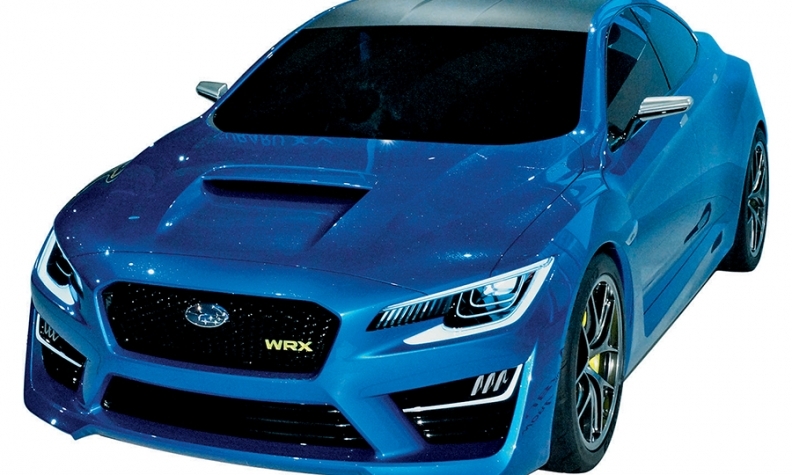 The WRX sedan concept has a coupelike body and the signature WRX hood scoop. Starting in 2016, Subaru of America will produce the redesigned four- and five-door Impreza compact at its Lafayette, Ind., plant. The vehicle will go on sale in late 2016 or early 2017. Next year, Subaru will launch redesigned versions of its WRX/STI. The Impreza-derived performance models have been restyled for a sportier look. The Outback wagon and Legacy sedan will be redesigned in the third quarter of 2014. Subaru also is working on a seven-seat SUV/crossover to replace the Tribeca that could arrive within three years. BRZ: A freshening is expected in late 2015 for the 2016 model year. A convertible version of the sports coupe has been considered, but is unlikely to be approved soon. Subaru engineers have said the BRZ wheelbase would have to be stretched about 4 inches to provide enough rear-seat room for a droptop version. Forester: The crossover will be freshened in 2017. Impreza: The compact sedan and five-door gets a midcycle freshening next year. The redesigned Impreza will go on sale in late 2016 or early 2017. It will be produced at Subaru's factory in Indiana. WRX/STI: The redesigned performance versions of the Impreza are expected to debut in November at the Los Angeles Auto Show and go on sale in early 2014. Subaru likely will drop the five-door and only produce a WRX/STI sedan. In March, Subaru showed a WRX sedan concept at the New York auto show with a coupelike body and integrated spoiler. The concept had the signature WRX hood scoop. The engine likely will be a high-performance version of the 2.5-liter four-cylinder boxer that produces at least 265 hp. Outback/Legacy: The Outback wagon and Legacy sedan will be redesigned in the third quarter of 2014. Spy photos show a sleeker, couplelike Legacy and an Outback with a more steeply raked windshield and changes to the hood. But the crossover retains its rugged off-road look and side rocker panels. The XV Cross-trek Hybrid, Subaru's first hybrid, goes on sale in November. It uses a nickel-metal hydride battery and produces 160 hp and 163 pounds-feet of torque. Subaru expects the hybrid to get a combined 31 mpg, vs. 28 mpg for the gasoline-powered XV Crosstrek with an automatic transmission. 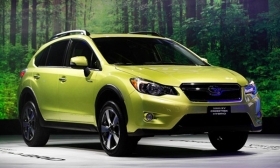 XV Crosstrek: The five-door XV Cross-trek will be freshened in mid-2015 for the 2016 model year. Tribeca: A seven-seat SUV/crossover in development would replace the slow-selling Tribeca, which has a cramped rear seat and limited cargo capacity. Insiders say the new vehicle could go on sale within three years.